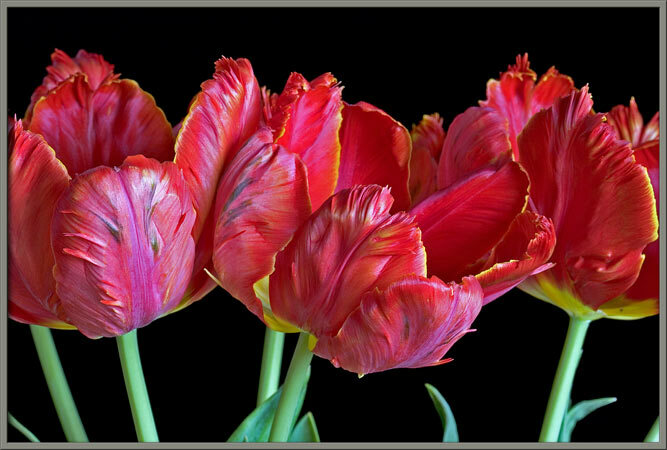 Although tulips are often associated with the Netherlands, they are not a native Dutch flower. About four hundred years ago Europeans first discovered tulips in Turkey. At that time Carolus Clusius, a famous botanist, introduced the plant to the Leiden botanical gardens in Holland. Since tulips were extremely rare, and expensive, only Kings and Emperors could afford to plant them in their gardens. The immediate popularity of the tulip drove Clusius and other horticulturalists to produce new colour variations to satisfy the growing demand for the flowers. Over the years, many tulip forms were produced by crossing and hybridizing techniques. 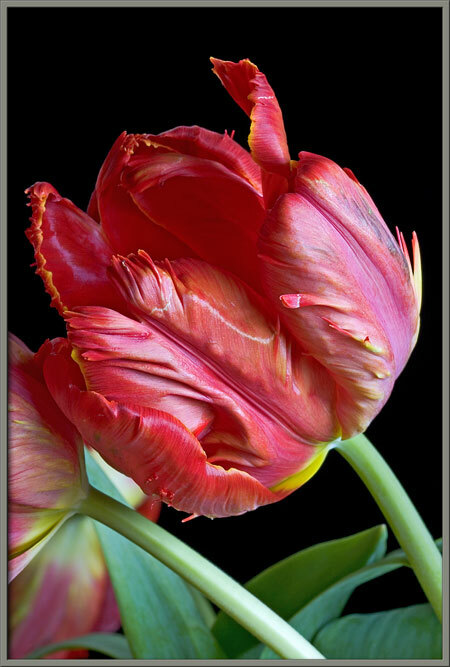 Some had frilly petals, and dramatic flame-like colourations, that later became known as “Parrot tulips”. 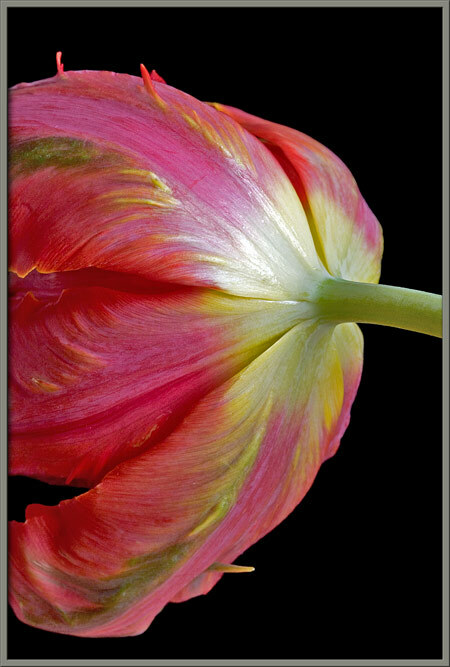 In "Flower Details", "Tulips", "colour", "parrot tulips"